How to choose tiles for the bathroom? 5 most popular solutions! White tile is probably the most popular solution in our bathrooms. Why? White brightens the interior. It gives a sense of order and lightness. 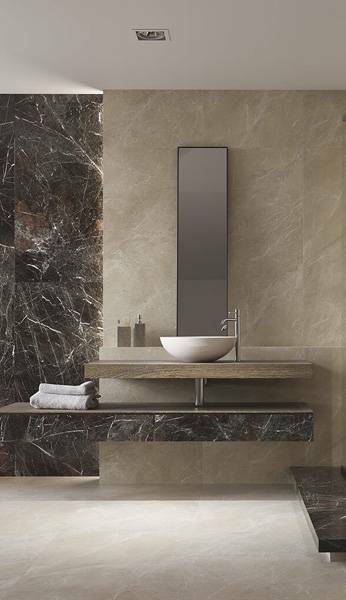 In combination with shiny glaze, it introduces mirror reflections which visually widen the room. White tiles have always been, are, and probably will be one of the most often chosen bathroom colours. How to make that the white bathroom is not visually monotonous? You can consider breaking it with structural ornaments in the same colour. Another way is, for example, to introduce a delicate pastel accent to it, with which we can mark one wall, shelf or zone behind the bathtub or shower. The white, glossy, and structural tiles of Martinique give the chic of a small bathroom. The addition of praline pink in the toilet area makes the whole bathroom subtle and gentle in expression. It’s worth playing with white, structures, and colours in the bathroom. White is timeless, but skilfully dosed, structural, and pastel accents change the character of the space from purely hygienic and monotonous – into aesthetic and original. The strongest possible contrast – black and white contrast – is an absolutely timeless combination, although it can represent all possible styles of interior design. Here, every value matters: the degree of purity of white and black, the proportions of their mutual use, the operation of large mono-colour planes or the opposite, the use of alternation (random or planned, such as a chessboard), the size of individual elements from which we build the composition, type of surface ( matt, shiny, structural, with a frame), as well as the presence and type of the pattern or its absence – all these features make that having only two colours at your disposal, we can conjure up interiors with a variety of character and expression. A black and white bathroom, in other words classics in a modern version. White and black tiles usually create a clean, monochromatic interior. Thanks to this, we can easily choose supplements or experiment with textures and structures. White wall and floor tiles, a black wall with a shelf in the toilet area, a picture of Audrey Hepburn, a mirror in a silver frame and lamps with lampshades create a composition which we will not get bored with for long and which will endure the test of time without a shadow of a doubt. And if we feel like a change, just modify the additions, for example, to those with clear, saturated colours and our bathroom will change itself into a modern interior in the style of op-art. 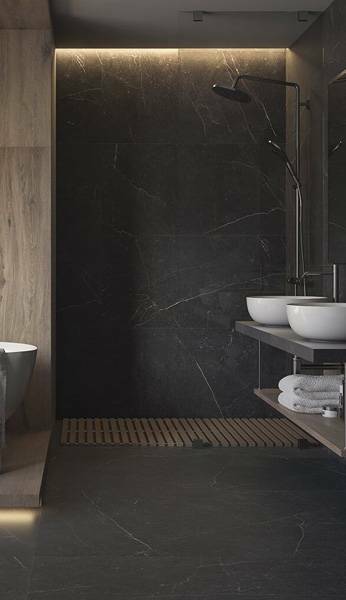 Another proven bathroom solution is based on breaking the subdued, calm base tiles with a distinctive element – for example, a saturated colour or a distinctive décor. Subdued whites, all shades of grey, warm, and cool beiges – tiles in these colours work very well as a base for creating interesting interiors, in which an attractive decor or juicy colour come to the fore. The strong accent may be one- or multi-coloured glass decorations, structural decors, and if we love the very frequent changes in the appearance of our bathroom – this can also be done by bathroom textiles, lamps, mirrors, hangers, and pictures or paintings in frames. Effective glass decorations make the saturated, turquoise colour in the bathroom noticeable, although of course the decisive part of the ceramics are calm, light-grey tiles. White and wood in the bathroom is a perfect combination – it has not been out of fashion for many years. This is the hallmark of the Scandinavian style, which we love so much and happily welcome to our interiors. The smooth whiteness of the tiles emphasizes the warm character of the ceramic boards, and the whole is usually cosy and very hygge. Surely, there is a whole range of colours, drawings, grains and wood-imitating tiles which can be arranged in a variety of styles – from classical through Provencal, rustic, retro, shabby chic, eco, modern, industrial, and minimalistic. BłyGlossy white tiles and those with the appearance of oiled parquet staves together with a mosaic imitating wooden cubes – together they create a cosy zone of relaxation. Each bathroom is divided into zones. The toilet area is often extended to use the shelf created as a result of installation of a hanging shell. Basin zone, usually with a mirror, also often acts as a dressing table for beauty treatments. 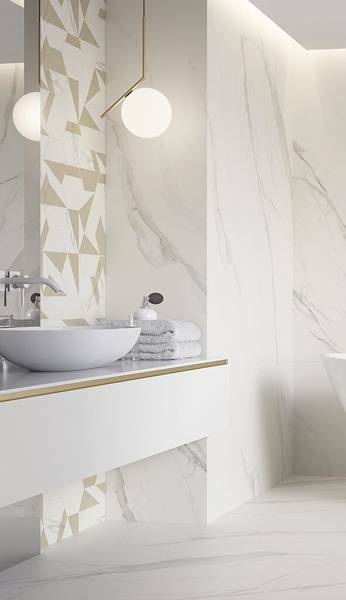 If we want to clearly emphasize the functions of specific fragments of a bathroom space, we can use ceramic decorations – for example tiles with linear, geometric, floristic or abstract motifs. This simple procedure makes the functional layout of the bathroom clear, and the entire space is tidy and gives the impression of neatness. White tiles supplemented with a clear structure in the same colour or in a delicate pastel colour. A timeless combination of white and black tiles. 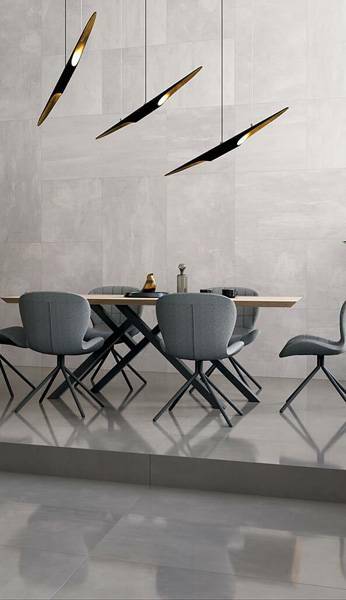 Neutral, subdued base tiles, in combination with strong, economically used colour and design accents. Effective combination of wood with white tiles. Thoughtful operation of decorations in the function of organizing bathroom space and separating individual usable zones.